Are you worried of your car performance in this monsoon? It’s better to have some essential tips on protecting your car health from the best Nexa showroom in Ranchi. Monsoon is the time, when the parched livelihood gets back its lifeline. Since, monsoon hits across many states in the country, roads tend to get even more treacherous with the downpour. Waterlogging is one common tale among the Indian roads. So, does it mean you should stop driving in the rainy seasons and wait till season goes way? No way. To save your car health from rain here’s some important tips and tricks, employing which you can easily take care of your car in this monsoon. The experts of Nexa showroom in Ranchi wants to reveal the myth; monsoon car care is no big deal actually. Here is the list of parts of your car that needs special attention in this monsoon. Now, being a recognized Nexa dealer in Ranchi, we always recommend our buyers to get prepared in advance as you can’t expect Indian roads to act stable during the rains. It’s a fact, that driving car in the rains is trickier due to poor visibility, slippery road surface, slack in the braking system, mud corrosion under the car, damage caused by the jerks due to potholes etc. etc. Make sure your tires are in good condition before the arrival of the monsoon. Have a look at the tread depth closely, whether it can sustain the slippery surface and the edges after waterfall. Check out the air pressure inside your tyres before better driving comfort. Rain makes the wipers work the most. Make the wipers proper functioning before the monsoon begins. Keep the wiper washer bottle filled with mild detergent to keep the windshield glass clear. Brakes might betray in the monsoon. Check your brake fluid level, brake pads, and brake lines; make sure that there is no air/water. Get your car battery checked. To set the terminals free from the moist, apply a coat of petroleum jelly. Car body gets damaged easily due to rain shower. Do a proper body quoting with wax polish. Remember- body quoting of the car includes – coating under body, anti-rust coating, and a paint/pro-active coating in combined. Fix all the electrical issues of the car before the rainy season. Check if the external wire is properly cloistered. It’s always better to carry some extra fuses in the monsoon. Check whether all the lights are working absolutely fine. Keep your car windows fungus-free. Car interiors such as- carpets, flooring, and the cabin area often get drenched due to heavy water flows. Keep an additional set of mats to soak the moist off. Try to use fabric mats, instead of rubber mats. To stop bad odor inside the car clean your car with vacuum cleaner, and use some good car fragrance available in the market. 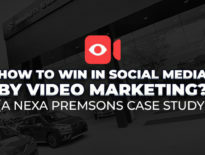 See Also How Video Marketing Helped Nexa Premsons Win Social Media? 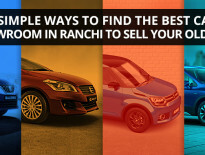 So, are you a Nexa car owner in Ranchi? Get your car servicing done before the monsoon only from the authorized Nexa Car Showroom in Ranchi. For advanced Nexa car accessories for rainy season visit the best Nexa dealer in Ranchi.